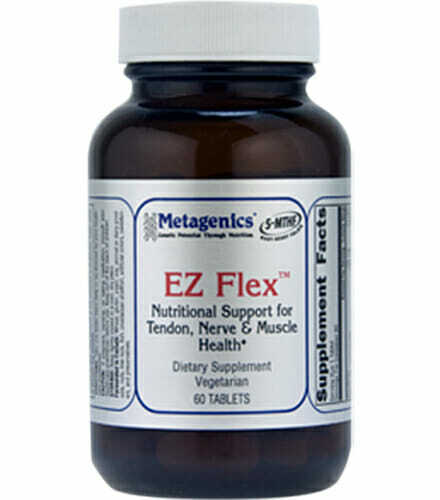 Metagenics EZ Flex supports soft tissue health. 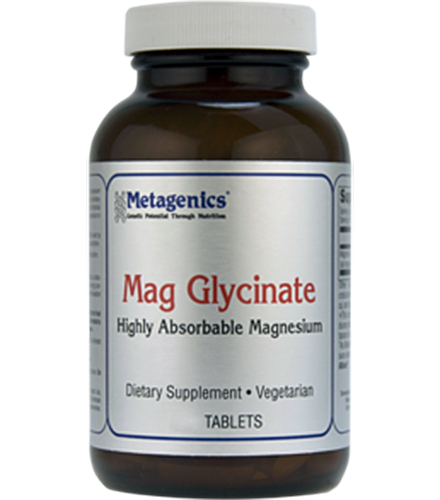 Features niacinamide with B vitamins, magnesium and turmeric concentrate to support the tendon, nerve and muscle tissues. 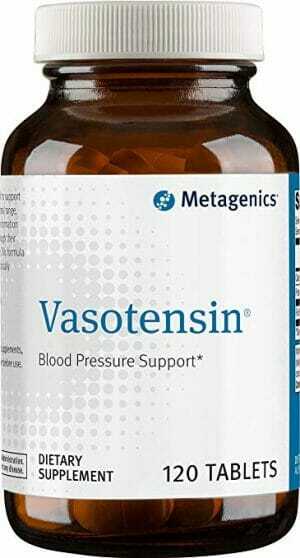 Contains a ratio-balanced combination of vitamins B6 and B12 for soft tissue support. 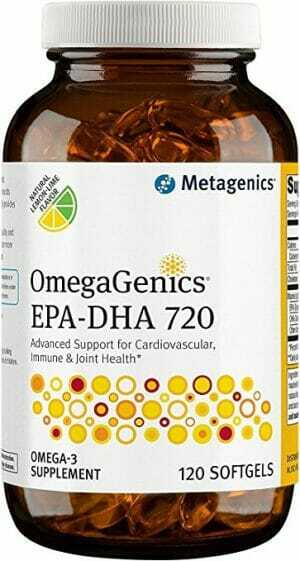 An expertly formulated, balanced combination of nutritional factors for support of tendon, nerve, and muscle tissues. Niacin supports energy levels and muscle building. Features a ratio-balanced combination of vitamins B6 and B12 to nutritionally support soft tissue. Niacin is a chemical form of vitamin B3 which is needed by the body to convert protein, fat, and carbohydrates into usable energy. The processing of fats in the body, like those involved in the building of cell membranes and fat-based hormones all require the presence of vitamin B3 to initiate synthesis. Without an ample supply of B3 you will be increasingly susceptible to fatigue and soreness, and the muscle building processes will be considerably hampered. 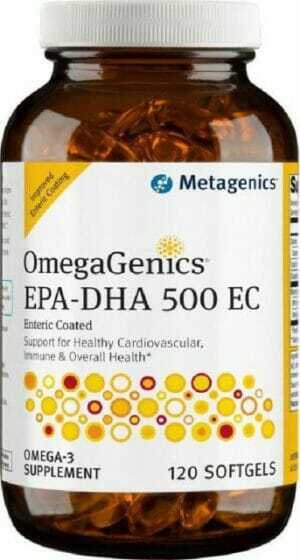 Niacin has also been shown to support cholesterol levels already within a normal range. Formulated to Exclude: Wheat, gluten, soy, animal or dairy products, nuts, tree nuts, fish, crustacean shellfish, colors, artificial sweeteners, and preservatives. This product is Gluten Free and Vegetarian.